How do I book with Elevated? Once you’ve picked your event date, fill out our contact form (HERE) or email us with the details and our team will get back to you ASAP! We will confirm that we have your date available, go over all the details with you, and create an estimate custom-tailored to your event. To be considered officially booked you must pay your 20% deposit and sign your event contract. DOES PRICE INCLUDE SET UP AND BREAK DOWN? Absolutely! Our pricing is straight forward and includes set up and break down and extras like venue meetings! How do we share our pictures? We make it SUPER simple to share your photos! After taking your pictures, our attendant will assist you and your guests with sharing your photo right from the booth itself! *Our VIP PHotobooth makes it that much easier to share with it’s back screen gallery and sharing capabilities. At any point in the night your guests can return to the booth to text/email and print their pictures. Photos can also be printed on the spot depending on the package you choose! How many people can fit “in the booth”? First, on how cozy everyone wants to get, second, on how big of an area were set up in! Our open-air photobooths allow a lot more than your traditional closed photo "booth". Simply put, we can comfortably fit 5-8 adults but we’ve definitely crammed 20+ people into a shot before! Can you work with my wedding planner? We LOVE working with wedding/event planners! Not only do we get to work with them before the special day to iron out all the details, we also work with them the day of as well. We help keep each other on schedule, make sure you are prepared for every special moment, and deal with everything that is thrown our way! Can we choose our own music? What music selections do you have? Absolutely! With our super-cool client portal you’re able to add songs to different categories for the many special moments in your day. (from the ceremony to the last song of the night!) 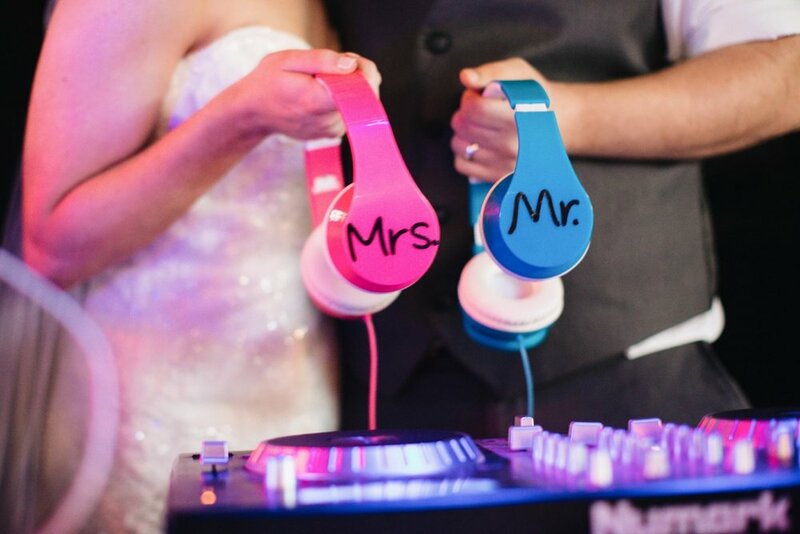 The client portal can be used for weddings and regular DJ events! As for our music selections, we keep it fresh with a mix of old-school and new music. We can get a good idea of your music tastes from the artists and songs you add to your portal, or we can choose it all! You can give us as little or as much as you’d like to go off of, so don’t worry about having hours of music to give us. WE provide a binder full of 25,000+ songs from all genres and decades. Our online database updates daily so we are always able to provide the most recent hits and even some Broadway and Disney songs! We bring a sign up sheet and will DJ a little in between karaoke performers. What Song selections do you have?